Giclee prints for purchase. The Ray Eyerly print “And Spring Came – The Three Sisters” was painted in 1971. The Three Sisters is located in Oregon and is part of the Cascade Mountain Range. 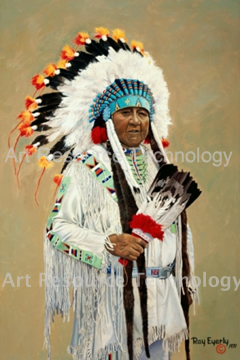 Unframed print size is 24″ x 36″ with a 2″ margin for framing. 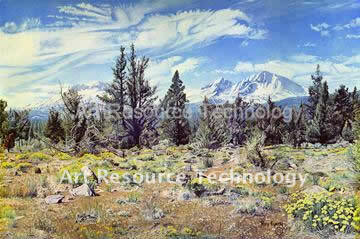 Epson long-life (archival) inks are used on acid free fine art canvas and finished with a UV protectant. Price includes shipping.